A POPULAR Finstall pub will re-open its doors with new owners after a major revamp. The Cross Inn, Alcester Road, was taken over by craft brewery, Black Country Ales, with the promise of preserving it as a traditional community hub, with more of an extensive beer and ale selection. The re-opening will take place at midday on April 26 and licensee Ryan Carr, a returning local man, is currently recruiting staff. Black Country Ales took to Facebook to announce the news. A spokesperson said the firm, was looking forward to ‘bringing back this much-loved local to its very best’. “We look forward to welcoming all those who have missed its presence in the village, and all those who have been searching for a true village local in the Finstall area. Classed as an ‘Asset of Community Value’, The Cross Inn shut its doors in September, leaving residents without a pub in the village. 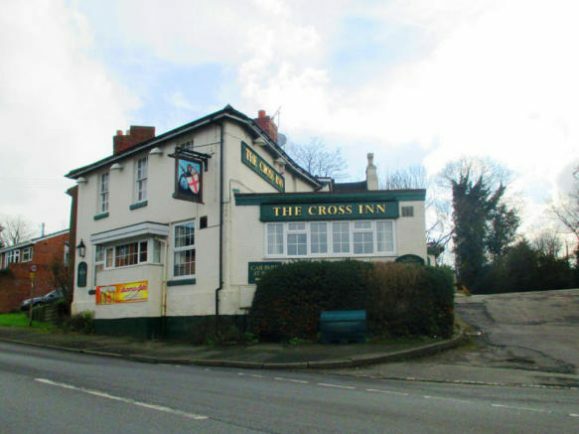 Gez Quinn, Chairman of Redditch and Bromsgrove Campaign for Real Ale (CAMRA), welcomed the decision and said: “CAMRA are delighted to see The Cross is due to reopen again. “Black Country Ales has a great reputation for keeping good pubs and serving top quality beers. “Although the future of the pub was in doubt for a short while, thankfully the work put in to get the pub listed as an Asset of Community Value has proved worthwhile in ensuring that The Cross remained a pub. The pub will serve bar snacks, including locally produced pork pies, free range Scotch eggs and filled cobs.